A beautiful and vigorous climber, clothed in handsome pinnate foliage. Brilliant trumpets in unusual shades of orange-red from June to September. 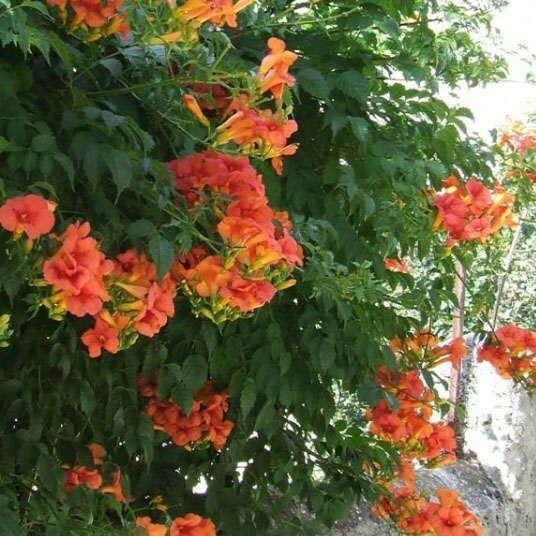 For best flowering plant in full sun. 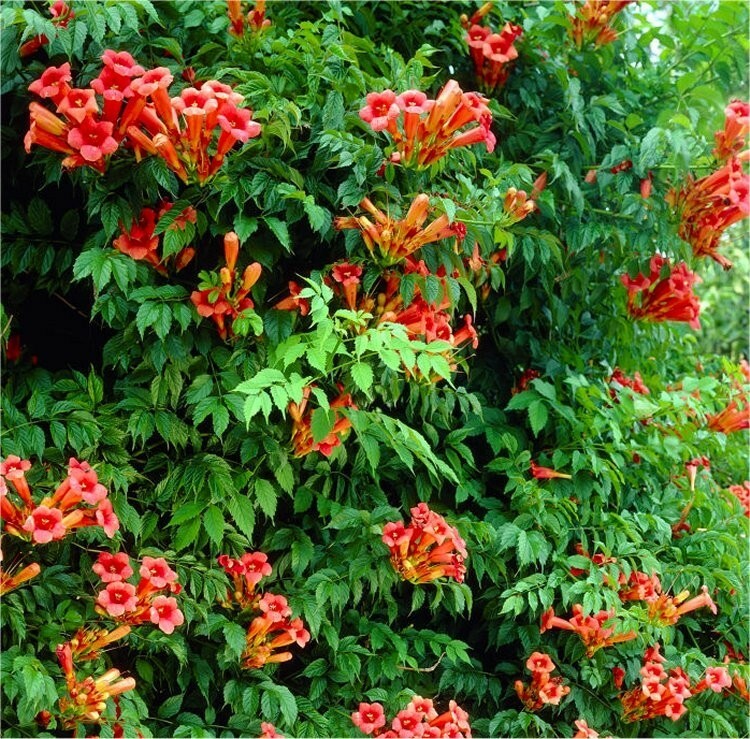 An easy to grow and train climber, ideal for covering walls, arches & pergolas. Strong plants supplied in approx 2-3 Litre containers.